How do I upload a file to the FTP server via FileZilla? The Employee Synchroniser is designed to capture records from an HR or payroll system and using key data fields (employee and site) populate your Vault by allocating each employee and their personal records to the correct employee record and also allocating each employee to their correct site. The synchroniser can be used to do an initial import of all your employees and then be scheduled to update your records as often as required. Full employee files or changes only (delta files) are accepted. Typically, initial population of is by way of a full upload then either changes only (delta files) or full files for ongoing updates. Note: The Synchroniser settings are only visible and editable to the "superadmin" user. For security purposes, the superadmin default password should be changed and kept secure. Click the settings icon and Select Settings. 2. Select Synchroniser - Employee from the Settings page. 3. Determine what Employee data you wish to import from your master database (HR, Payroll) into the Vault database - check the Employee data table in the table below to ensure the fields you require are supported by the Synchroniser. 4. Extract your Employee data from your master database into a CSV file in the format prescribed in the Employee data table. The file name must begin with "employee" and finish with ".csv" e.g. "employee_31JUN2010.csv"
Save the CSV file in a known location in your network. 5. Enter the email address you wish to receive Synchroniser - Employee notifications. Note this email address can be unique for each synchroniser function. 6. Determine if you wish to receive error notifications only or error and successful synchronisation notifications. Note: The above information is displayed to the superadmin user in the Synchroniser setup pages. Note: secure ftp is supported using port 22. 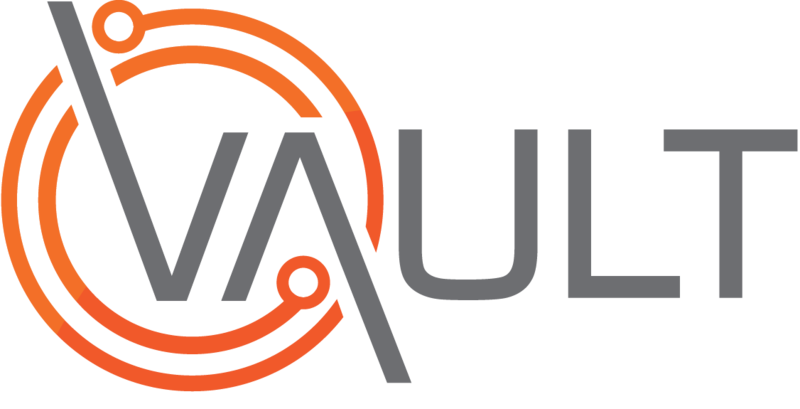 Vault has an optional feature that allows 2 additional person types to be configured. These "Other Persons" have identical fields to employees and they can also by synchronised to Vault using the Employee Synchroniser. The process is identical to that described in this section. An additional .CSV file for each "Other Person" type needs to be generated and presented to the synchroniser. Once you have established the synchronisation fields for employees, change the "Person Type" (in the example above configured as Students and Visitors) and establish the required fields for these persons. Create CSV file names for the "Other Persons" in exactly the same format and capitalisation as they are presented to you in the setup window. The FTP access details including Port, User and Password are identical for all synchronisation sessions. Once the CSV file(s) has been sent to the ftp location, it will be addressed by the daily scheduled task to run at midnight (AEST). Note the file may run anytime between midnight and 4am. Synchroniser runs the CSV file and if no errors are detected the changes in the file are made to the Vault database and the CSV file is deleted from the server. If errors are detected, then changes are rolled back and no data is changed and the CSV file is deleted from the server. A full list of all errors is emailed back to a customer nominated email address. The errors should be corrected and resubmitted in a new file for synchronisation the following night. Note: for every field mapped, there must be an entry in the CSV file, even if the field contains no data. Q. What happens if I run a full CSV file of all employees on an existing database ? A.The Synchroniser will only update records that have changed. Q. What happens if I run a CSV file of changes only on an existing database ? A.Any changed records will be updated - all other data will remain intact as it was prior to updating. Q. What will happen If an existing employee has had a change of name, site, position or other information ? A.The new information will show after the Synchroniser has run. If the employee has been assigned a new site, then they will appear at that new site. Only the information that has been changed will be updated. Any additional information will be added. Q. If an employee has not been assigned a site ? A.They will appear in all sites. A.No. Departments (and job positions) are universal lists in Vault that are automatically imported as part of the sync process. Q. If an employee has not been assigned an employee number ? A.None of the Synchroniser changes will be committed to the database. Q. What happens if an employee has change of Employee number ? A.A new employee record will be added - the old record will be retained and must be removed manually. Q. If some employee fields have not been provided in the CSV ? A.Those fields will not have values in the Vault database after synchronisation e.g. if an employee has a Home Street address in Vault, but the next CSV file to action has no data in the street field, then the street will be removed from the Vault database. Q. If some employee fields have duplicate/identical primary key values i.e. they are not unique records ? A.The synchroniser will run both records in order. The first records details will be overwritten by the second record. Q. Do I need to do a Vault database backup ? A.No Vault Cloud service does a daily backup of your data on your behalf. Q. Can I change an employee record in the Vault if the Synchroniser is trying to change that record ? A.Yes - the Vault will reflect the entry which is most current. Q. My master database records are not in the same format as the Vault fields ? A.The update will not be successful - the CSV must match all the Vault field parameters. Q. My master database records has a new site which has not been added to the Vault database ? A.The update will not be successful - the CSV must match all the Vault field parameters - this includes spelling capitalisation, or site ID if synchronising by Site code.